This is the most expensive and most precious perfume I own. Created in 2011 by Mona di Orio, Oud includes notes of elemi from the Phillipines, green mandarin from Calabria, petitgrain from Paraguay, patchouli from Indonesia, osmanthus absolue from China, nagarmotha from India, cedarwood from Atlas, essential oil Oudh from Laos, musc and ambergris. In this review of Tubéreuse, I talked about how one note should never be dismissed, because someone will always come up with an interpretation just ideal for you. Mona di Orio came up with not only an interpretation, but a revelation. She used real, authentic essential oil from Laotian Oudh in a western perfume and she did so in an amazing way. Not only is it the first time I smelled real oud, an eye opening experience in itself, but she pairs that intense and breathtakingly complex note with one of my favorite floral notes – osmanthus – and thereby melds heaven and earth, black and white, good and evil, two absolute opposites into a marriage of beauty that had an almost magical effect on me. Oud is a stunning composition, strong, powerful, unusual, tender, delicate, familiar. Spellbinding. When I first applied Oud, very carefully I might add, fully expecting the worst, it was late at night. Probably not one of my best ideas to try something new before going to sleep, but in this case it turned out perfectly. Oud kept me up the whole night, but not in a bad way. It was just that whenever I moved, it wormed its way into my consciousness and despite being quasi asleep, I moved my hand in front of my nose countless times that night, only to smile and sigh with pleasure. What a perfume! The first hour is strong and very heavy on the oud. It struts in and presents itself, like a lion to his pride. It is fully aware of its power and glory, the respect and even fear it engenders and it is proud of what it is and what it can do. Over the next hours, very slowly the balance starts to shift, and the oud gets more mellow, more quiet, more distanced as it starts to sing a soft duet with the second main player in this opus, osmanthus. A soft and gourmand-leaning flower from china, osmanthus smells like apricots and smooth white flowers (see my reviews of favorite osmanthus scents: Hermes Osmanthe Yunnan, Ormonde Jayne Osmanthus and Parfum d’Empire Osmanthus Inderdite). This is my favorite phase, I sit and shake my head in wonder at how marvelously blended those two disparate notes are, at how exquisite their interplay, how seemingly effortless the tiny flower of Osmanthus conquers the great lion Oud and makes him purr like a kitten. Oud lasts for an entire day (or night!) and has a beautiful, but not overwhelming sillage. Due to its nature (the inclusion of such a rare and expensive essential oil, costing 18000€ per Kilogram), Oud is in limited release, not available everywhere and most probably not forever. I bought mine at First in Fragrance. Oud and osmanthus – the combination fascinates me every time I wear this perfume, which is often these days. The quality and unique properties of the natural oud oil and the way it is used and orchestrated in this creation, make me rever Mona di Orio as one of the truly great artists working today. Take this, Dr Turin! This entry was posted in Floral, Fragrance Reviews, Mona di Orio, Woods and tagged floral, Fragrance, Mona di Orio, Osmanthus, Oud, Perfume, Review, woody. Bookmark the permalink. I would love to share in a bottle if someone could host it!!!!! Sounds insanely fabulous! It is. Might be the best perfume I have tried this year, and that is saying something… It is certainly the most unique and mindblowing one (thanks to the real oud). Oh please do stop with the gorgeous reviews already! My wallet is cursing you. 😉 I find your review so lovely that I ordered a sample. Please let me dislike it! Oud and Osmanthus – it sounds absolutely perfect! Well I am in a Oud kind of mood today… Must order a sample, sounds divine. This is the first oud mood for me ever, turns out the real deal is spectacular, the synthetic oud – not so much. ok- this does sound beeautiful and I’m glad I’m getting a tiny decant (5mls)..I am wearing OJ osmanthus on one wrist right now as reference (it is my only osmanthus reference – I have never smelled the actual flower)..It is not my favorite OJ scent, but I can imagine the note smelling gorgeous weaving out through a cloud of oud..I am really excited to smell this! Thanks for the review, B! Yes, I’m referring to the unfair and overly emotional treatment of Mona di Orio by Turin/Sanchez. I don’t know what is behind that, but I sure know, it is totally unwarranted to trash her like that. It is one thing not to like a perfume, and another to personally attack somebody in a book claiming to be a definitive guide (it’s no such thing, it is an amusing collection of purely subjective reviews, which is fine, if you call it that). I think you’ll be happy with your decant. yeah- I noticed that too- I think it was the review of Carnation. I had never smelled anything from that line, so didn’t read too much into it then. But it did seem a bit much! The guide is definitely very subjective as are many perfume reviews. I have been talking about subjectivity in discussing art in general (with DH) and it seems to me that a critic (and I am not even remotely one), should be able to distinguish between what is good and what is a favorite (for e.g: Therese is not something that i will personally wear, but I can recognize it as a great perfume. And I didn’t like the top notes of Mandy’s memento but it was obvious to me that it was a wonderful perfume, just not my favorite notes). However, it does seem more difficult to do this with perfume than with other art forms since smells seem to evoke such visceral responses.. I only got 5ml too, damn! 🙂 I just want to make sure I love it, then next time, I’m going in for the lion’s share! Oooooh, it sounds just plain awesome! And I love oud – the more of it the better. Now I can’t wait to receive my sample – on the other hand, what if I’ll like it that much that I want a full bottle…? A full bottle of this is really, really expensive. Once more I am glad to be part of such a great community, decants are a godsend. And it is awesome, indeed! I enjoyed reading your review and I’m still thinking if I should try to try it. Do you like the bottle itself? I think the bottle itself is very beautiful. It has incredible heft, the cap is nice with its champagne cork associations and the bottle comes in a lacquered wooden box that puts By Kilian’s to shame. Hosting the split was one of my more genius ideas, because I really wanted that bottle too, not only the juice. Allegedly it works even better in the lighter concentration, although I have not smelled the new iteration myself. Looks like you’ve created a flock of lemmings with this marvelous, inspiring review, B! Real oud and osmanthus does sound like a genius combination. I’m glad that in the blogosphere Mona is getting the recognition she obviously deserves . She came across really well in the CaFleureBon interview I thought. Looking forward to your review of Vanille! I’m glad to do my part to get the word out about these wonderful creations! Mona is truly a master of her art. You already said it perfectly, Isabelle – it is magic and you are in love. Nothing to add to that. What a beautiful review, I am now absolutely stricken with desire to try it. I can’t even comprehend the price since I am not that used to Euros, but I’m afraid to do the conversion since I know the news will not be good. Must look for a small decant at least! Yes, I see the flacon is a lovely object. Good for MdO for powering through that unfair review. I know many writers feel they must feed someone to the lions in order to show they can be negative and therefore to be taken seriously but even if not liking something of hers I can’t imagine why they were so disrespectful of such a serious independent perfumer. That weakened their authority in my eyes, and many others too. I’m happy I could transmit my fascination with this perfume apparently. I absolutely agree with what you say about The Guide, yet as to why the chose to attack Mona in so personal and unprofessional a manner is a mystery to me. From Les Nombres d’Ors I have tried only Vetiver. But I have tried most of the older MdO line and the Turin’s comment on her skills, as well as his praises on Paradise for Men (the most painfully redundant fragrance I have ever tried) are the two things that made me extra careful whith his reviews. I really wish I had bought something from her older lineup but the prices are indeed on the higher end of the scale. I tried Oiro and Lux recently from the old line and I think it is very sad those perfumes are being discontinued. I really wish that the new perfumes will be a sensational success for her, she is an amazing talent. Thank you, Jim, your nice words mean a lot! Re The Guide: I primarily take issue with the fact that subjectivity is sold as objectivity, which is a plain falsehood. We all know that there is no such thing as objectivity. The problem is that that subjectivity is sold as authority. As I sit here awaiting my decant, I try to imagine real oud and osmanthus together, and I must admit that it’s hard. I am SO excited about it, though, it will be the most divine of challenges! The Garden of Good and Evil…that should be the subtitle for your blog, Miss Birgit, because you’re reviews are a splendid and beautiful form of torture. I knew I was going to be slayed by your review of this one…and I have a feeling that I’ll be saving up all my money in the next couple months to get a decant of this and at least a couple of the others in Mona di Orio’s new line. Received my sample yesterday and wearing it today : it’s truly mesmerizing. I wore this from a Luckyscent sample and fell in love before I knew how much it cost. I’d love to be in your split if there’s still room. I’m in the U.S. Sounds superb. I too wish I could just try it..I so wish she had a sampler set for this line. I especially want to smell the oud..the vanille and the cuir. If anyone is doing a split..I would certainly be interested. Olfactoria..I enjoy your perfume reviews tremendously. I think that your picture is quite lovely as well..very elegant and refined. Beautiful! 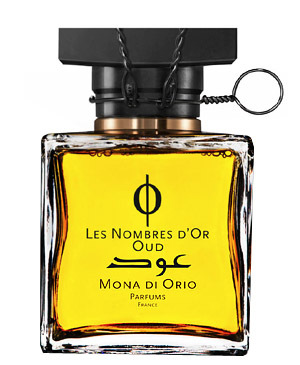 Mona di Orio did an outstanding job with the Nombres d’Or. Who knows, maybe there will be a set sometime. One can always hope! There is a discovery set of the Nombres line. I have one being brought over from the US next week :-). It includes eight 5 ml roll ons for $140. I thought it was an excellent deal since some of the scents (like the Oud) are so expensive. I got mine from MiN. I can’t wait to try them all! I know! Congratulations on getting it! I’m sure you’ll enjoy the perfumes very much! I am so impressed with this I am going to have to write a review, too! Most “oud perfumes” are just posers. They want the marketing angle, but the perfumes don’t deliver. Though I wouldn’t call this an “oud perfume” per se, because there is so much else going on, it certainly delivers, and it’s truly amazing. I think it’s Mona D’s best work. Marla, thank you so much for coming back to comment on Oud! It is the most spellbinding perfume in a long time and I totally agree with you that it is Mona’s absolute best to date. I look forward to reading your review! I am coming to this very late! Catching up on archives bit by bit. Your description sounded so wonderful that I just ordered a sample from Luckyscent to see for myself. This sounds like it has the potential to be very dangerous if I fall in love with it! It is an astounding perfume, it really showed me what oud can be. I hope you enjoy your sample! Mona was a genius. I’m really looking forward to it. Oud is a hard one for me, but I keep thinking I should love it . . . maybe Mona di Orio will be the key? It would be lovely if it worked for you! I hope so. I think my difficulty with oud must come from the fact that I probably haven’t really experienced a really good one. So I am very much looking forward to it. Thanks for the recommendation! Okay, I am wearing Oud right now and I am in LOVE!!!!! The combination of osmanthus and oud is divine! And what an oud! I always feel bonked on the head by oud, but this one has such incredible depth and complexity. Oh, I am really, really in love. And it’s $520!!!!! I will start saving now . . . Yay!!!! It is amazing, isn’t it? So glad you love it too! I’m lucky that I hosted a split of Oud, otherwise it is just too expensive. Are you on FB? I could add you to our group, there are regular splits going on and many people offer decants. It is so amazing. Thank you for the wonderful review! I saw on the Mona di Orio website that they have 7ml samples of Oud for €25. I may have to do that to tide me over until the sweet, sweet day that I can own my own bottle. I don’t blame you for being the spilt host; I would want the bottle too! It comes in a beautiful box, doesn’t it? I put it on my forearm to test while I was working. I actually almost got a cramp from lifting my arm too much to sniff myself! Isn’t that crazy? I’m glad no one is here to see me! Unfortunately, I am one of those rare luddites that doesn’t have a facebook account. Your group sounds lovely though. If I get around to creating one for love of perfume, I will definitely let you know! The sample is a good idea, a little goes a long way with Oud, so 7ml is not bad. I’ll try another US based site for a decant, and keep my eyes and ears open for any splits. Sorry for the delayed response, this comment somehow ended up in spam. I hope you find a decant. I only have little left, or I’d give you some, sorry. Speaking of decants, Opensky still hasn’t shipped CB’s mystery juice. I’ll send it along as soon as I get it. It will be the first time I have ever mailed one overseas! Any advice besides electrical tape and bubble wrap? This is a truly beautiful review, Birgit. Thank you, Neil, that means a lot coming from you. Just received a sample from Lucky Scent and read your review. I noticed you did a split and would love any advice you can offer on splitting. I have to say I can only recommend hosting a split if you are willing to do a lot of work and don’t mind paying a load of shipping costs. At least that was my experience sending from Europe. I don’t know where you are based though. You can advertise your split on a fragrance community like a FB group. You need to calculate the costs of vials, packaging and shipping in addition to the ml cost of your perfume. Enjoy your Oud, it is a fantastic perfume! I’m sure there are many in your area! 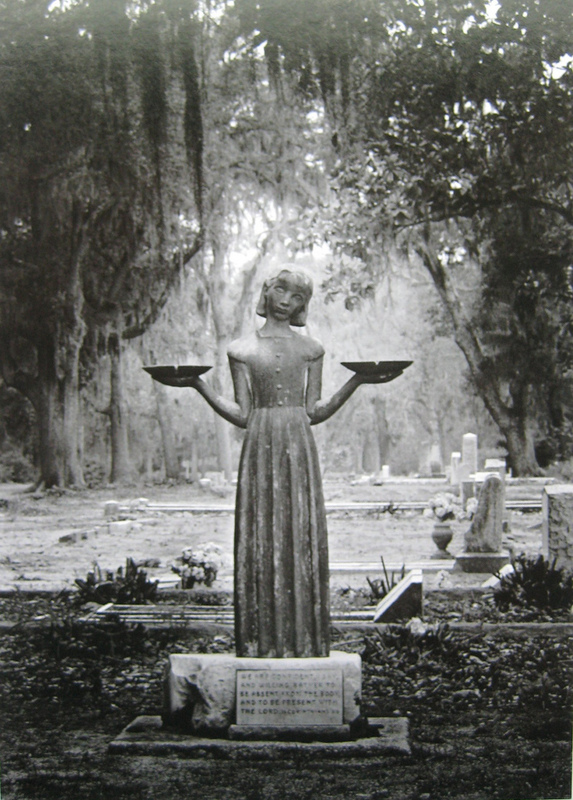 Do you know the blog Scents Memories by Lanier Smith? He is based in SF. No that’s a new blog for me and I’ve spent the last hour devouring it! Many thanks for the wonderful recommendation. That’s great, Olivia! I’m glad! Interesting, though this is a unique combination (as opposed to oud and rose or oud and saffron), I hated this when I tried. It was too strong/bitter/hard to describe but couldn’t get to like it. I recently tried Penhaligon’s Levantium and it smells quite similar but more palatable to me. I might just buy that.